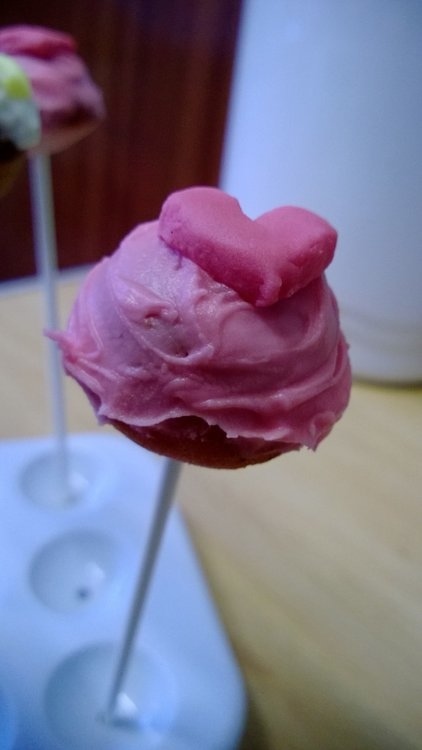 It’s been a while since I’ve posted anything on here, so I thought I’d share some pictures of these lovely fruity cake pops my daughter (14) made last week. One of my first posts on here was about cake pops, and on that occasion we decorated them more simply with sprinkles and suchlike. This time however, my daughter decided to get a bit more creative. 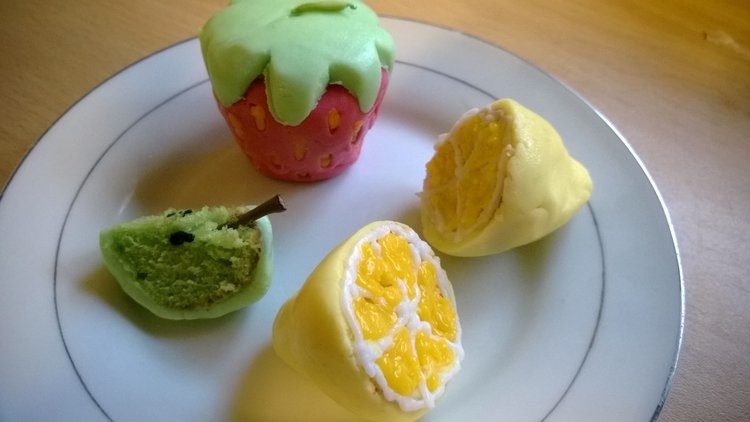 What I do know is that she made three batches of the little round ball cakes, one batch coloured pink and flavoured with strawberry, one batch yellow and flavoured with lemon, and one batch green and flavoured with apple. 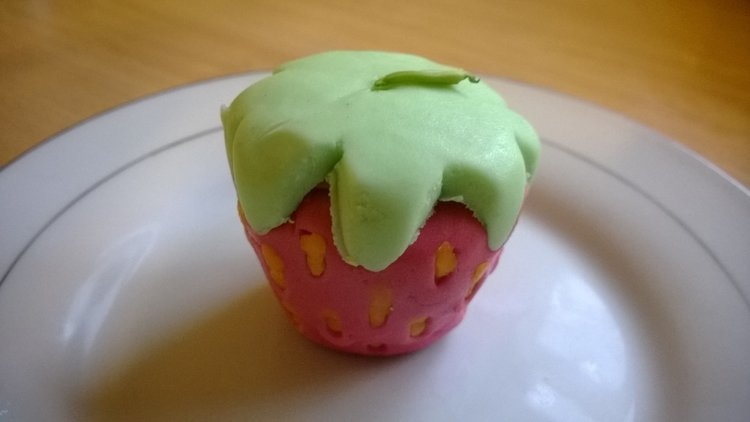 Once they were cooked and cooled, she used fondant icing, and tubes of writing icing, and got to work. 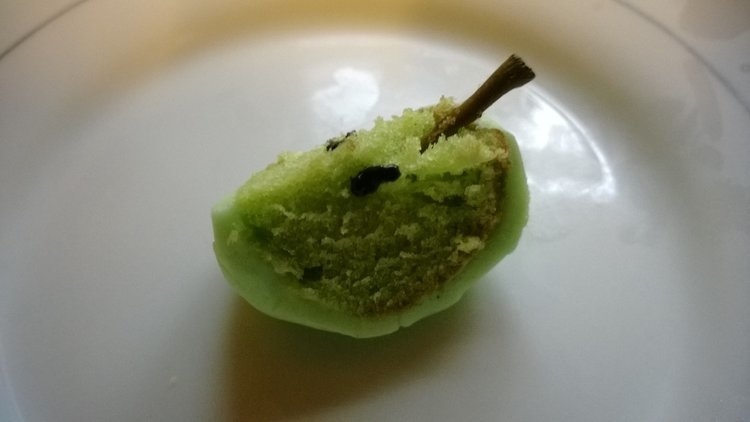 She used a real apple stalk in the apple slice. She really did an excellent job! They would look so cute at a child’s tea party. Yes, I was quite impressed! 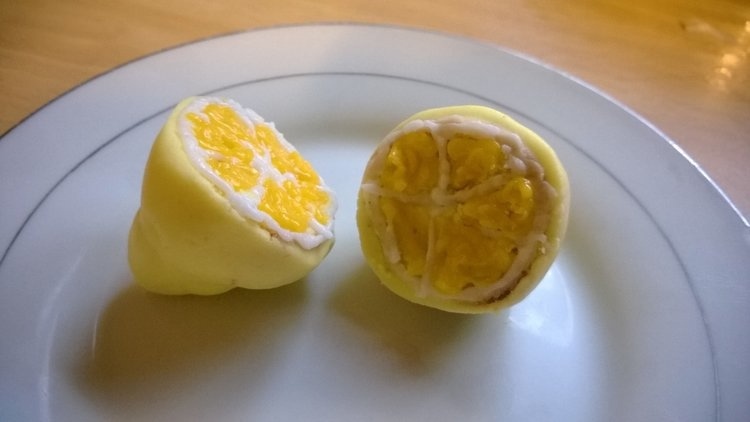 When she said she was going to make them into fruit, I thought she meant just the whole fruit shape, I didn’t realise she was going to cut into them and go into that much detail. Yes, maybe she could do that as a sideline! She’s always been very creative and I always thought she’d want to go into something creative for a career, but she doesn’t seem to want to, so maybe these things will just be a hobby, which is fine of course! She’s much better at this sort of thing than I am, I don’t have the patience, I prefer quick and easy recipes! I didn’t actually eat any of these myself, but she said that they were a bit too sweet, probably because the ratio of frosting to cake was quite high! I never go on FB but recently saw and had to try a recipe with just two ingredients (for muffins). One 15-oz. can of pumpkin and 1 box of Duncan Hines Yellow Cake Mix. The trouble with me is, I thought this would be boring so I added 1 cup chopped walnuts and 1 cup raisins. Next time I’d like to make this with Duncan Hines Spice Cake Mix. Bake 350 degrees F for 20 to 25 minutes. I had to bake for 15 additional —guess it depends on your stove. Ooh that sounds good. It’s quite hard to get canned pumpkin over here though because pumpkin pie isn’t really eaten much here, although I’m sure I can get some from somewhere if I look hard enough! If you try it, whisk the cake mix before adding pumpkin to get lumps out. She’s definitely more of an artist than me! And yes, she knows the rules, if it’s pretty, there’s got to be a photo! Oh, those look great! I wish I could just reach through the screen and have a taste. 🙂 I hope she shares her creations with you! Sometimes, if I’m lucky 😉 Quite often when she makes something though it’s for like a bake sale at school or something, so I don’t get a look in! I’m pretty sure these turned out better than mine would have if I’d attempted the same thing! She could definitely be a contender couldn’t she if she keeps this up!